I couldn’t get this posted until today since yesterday I was recovering from being in town until after 9:00 p.m. Yeah, I don’t like being out late any more. 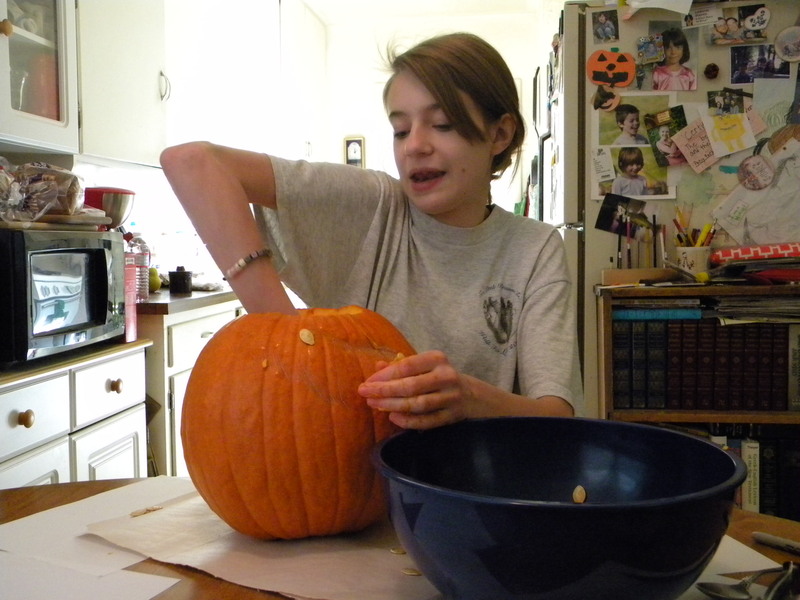 On Halloween during the day my daughter, Grace, carved a pumpkin all by herself! It was a process, but it turned out great. Then we took the kids to town so they could go trick-or-treating with their friends. 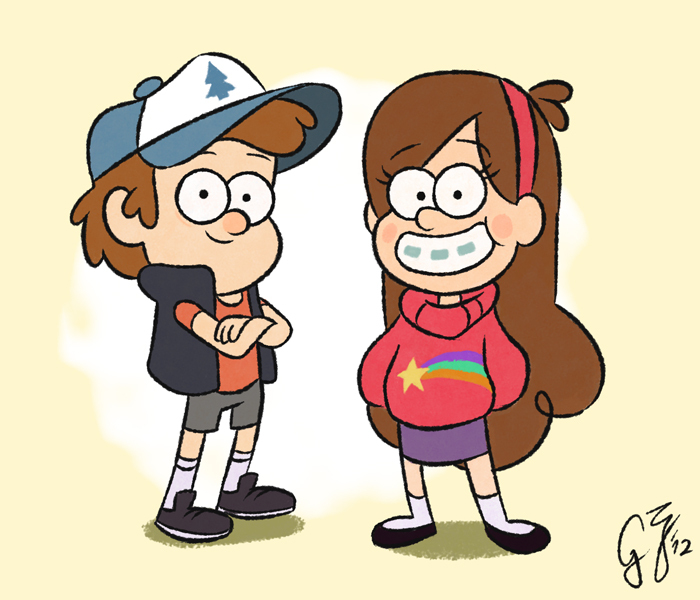 Their costumes are from four characters on the show of Gravity Falls. It’s a pretty funny cartoon we watch regularly. 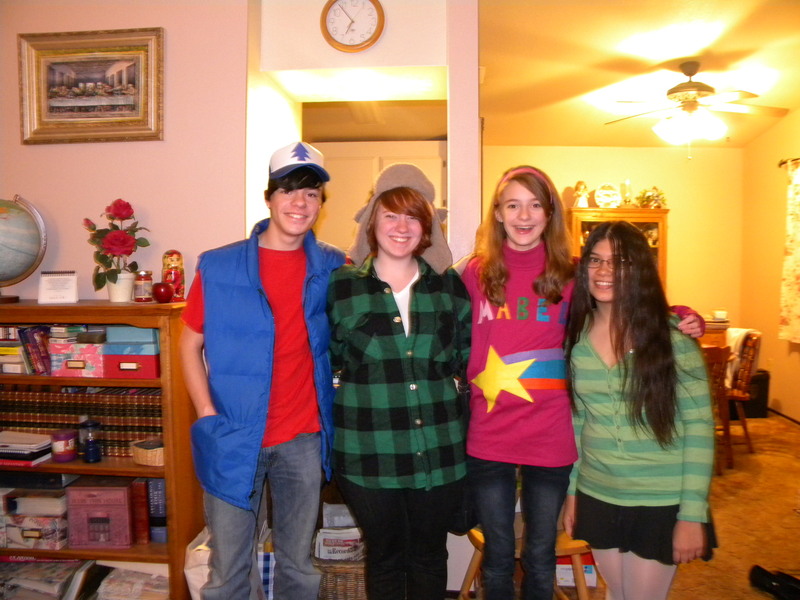 and lastly, Dipper, Wendy, Mabel and Candy! Posted on November 2, 2013, in My Thoughts and tagged The Wicked Witch of the West, The Wizard of Oz. Bookmark the permalink. 6 Comments. Grace did a fabulous job of the pumpkin! wow! Thank you, Christine. She took most of the day making it, but had fun. She is a beautiful girl, I agree. Thanks so much. Yes, they have! It is a fun ride, this thing called parenthood!